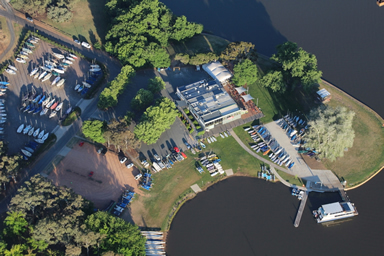 The Canberra Yacht Club provides recreational opportunities as well as organised division racing on Sundays during the summer season and more leisurely twilight sailing being enjoyed Wednesday evenings. Additionally, fortnightly autumn and winter racing ensures competitive fun year-round sailing. Formed in 1959, the club has produced many talented sailors over the years, including national champions, an Olympic medallist and those who have enjoyed success in some of the world’s most famous ocean races including the Sydney to Hobart classic. The next generation of sailing stars are being trained in our Sailing School & Academy, which offers an extensive range of training courses conducted by a fully qualified team of instructors. Buoyed Up with Tackers is an initiative which assists vulnerable, at-risk children aged 7-12 years to participate in the Junior Sailing program as a way to build confidence, self-esteem and engage in an active lifestyle. The program provides children from disadvantaged backgrounds with a unique fun-based opportunity that will enhance their general life skills and capabilities. Children participate in all three levels of the Tackers program, either during the school day or over several years. Providing the complete Tackers Pathway is important in developing skills and allowing participants to transition into club membership and ongoing participation. We are equally proud of our Sailability program offering an additional level of support, an established network of volunteers, and equipment to assist people of all-abilities to get into sailing. It is an international program first hosted by the CYC during 2017. If you have a disability and wish to experience “Freedom on the Water”, you are especially welcome. Sailability is conducted typically on a Sunday morning during the warmer months. The CYC also provides access to sailing through the hire of boats to those with some sailing ability. We also operate a boat shop with a wide range of yachting supplies including fittings, clothing and paints - we can order for your needs - all profit goes back into supporting our programs above. We offer membership discounts for current Canberra Southern Cross Club members, so therefore we encourage all members to join the CSCC who generously support all activities of the Canberra Yacht Club. The book, Capital Sailing, relates the story of the 50 year history of the CYC, from its origins on Lake George in 1959 through to 2009. The book tells the story of the club as an important part of the social fabric of Canberra and of the achievements of its members. 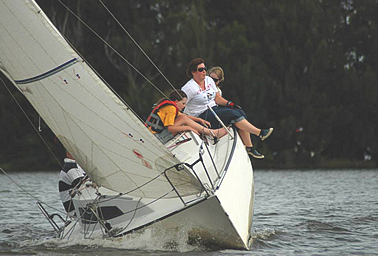 Capital Sailing follows on from the previously published book (June 2008), from Lake George to Lake Burley Griffin, Canberra's Pioneer Sailors, which records in detail the history of the first 10 years of the club. It includes stories and photos about the Canberra Sailing Club and the RMC Sailing Club which conducted races on Lake George in the 1950s when the lake was full to overflowing and then the origins of the CYC in 1959. One of the highlights of the CYC's early days was the visit by the Governor General, Lord De L'Isle, as the official guest for the opening of season regatta in late September 1961. A copy of the printed program for that regatta, which includes the full list of entries, is reproduced in the book. The book also tells the story of the building of Lake Burley Griffin and of the club's preparations to move to Canberra when the lake filled, the subsequent building of the clubhouse which is still used today, and the early years of racing on Lake Burley Griffin from the summer of 1964-65. A feature of the book is the collection of personal recollections of a number of early members of the club who were involved in both the Lake George and early Lake Burley Griffin days. <="" div="">If you would like a copy of these books please contact the office.